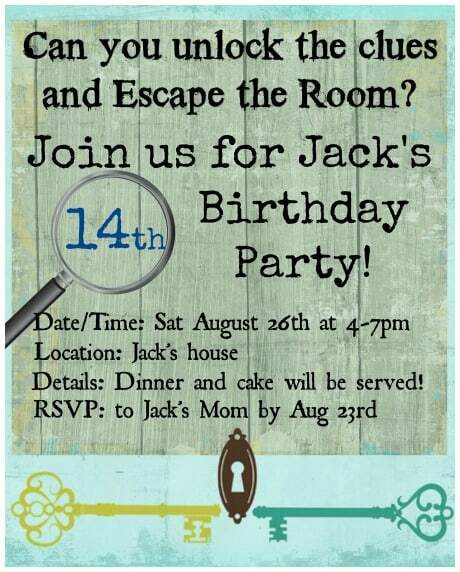 Would your tween or teen love to have an Escape Room birthday party at home but you have no idea where to begin? 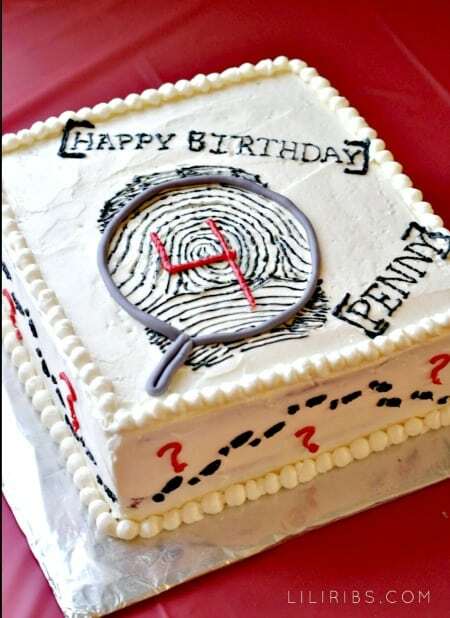 It's actually pretty easy to pull together and a whole lot of fun for the guests- which is why an Escape Room party is one of our favorite kids birthday parties! 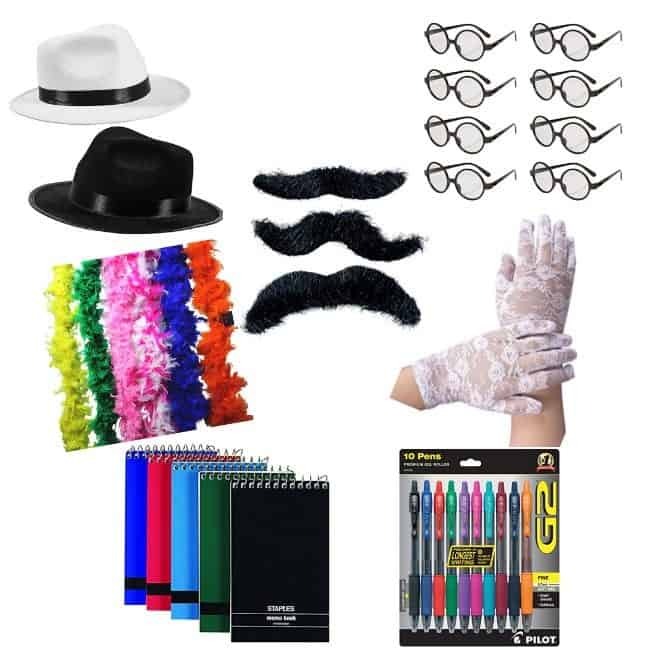 Here's everything you need to host an Escape Room for kids for less than $100! I created these cool party invites which can be printed and mailed or sent out as an email attachment. You'll find a download link to a blank invite you can use (for free!) at the end of this post. 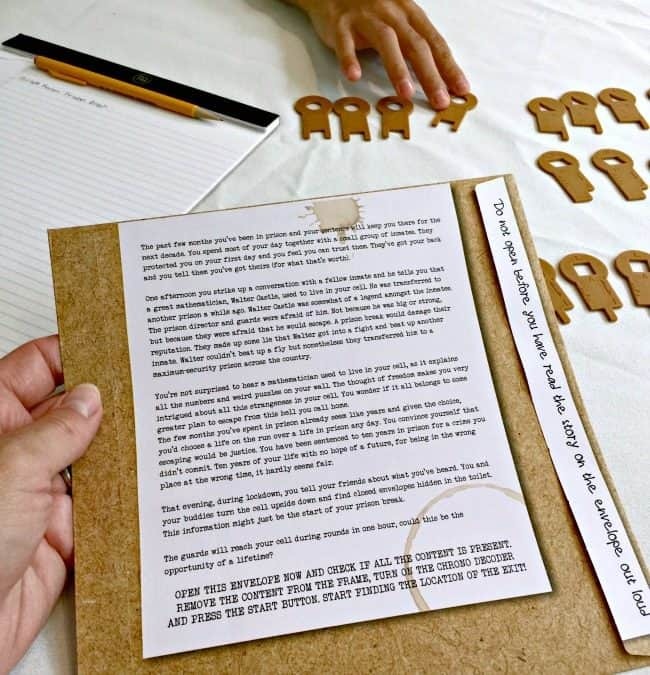 For your escape room party, you'll need to have a compelling story and set of clues you can give to the kids. 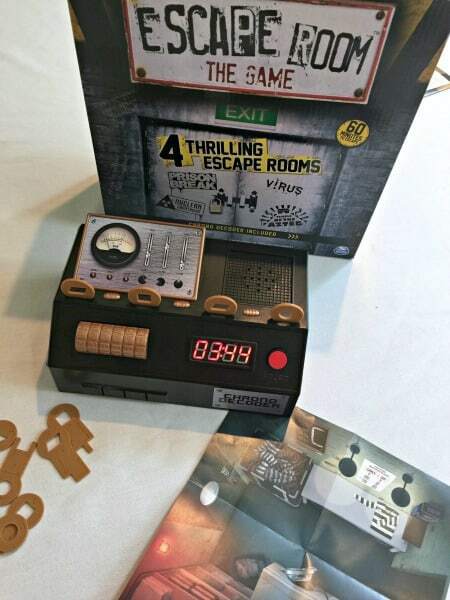 Solving the complex puzzles and figuring out the clues allows players to move to the next stage of the game (most escape room games have 4 stages). 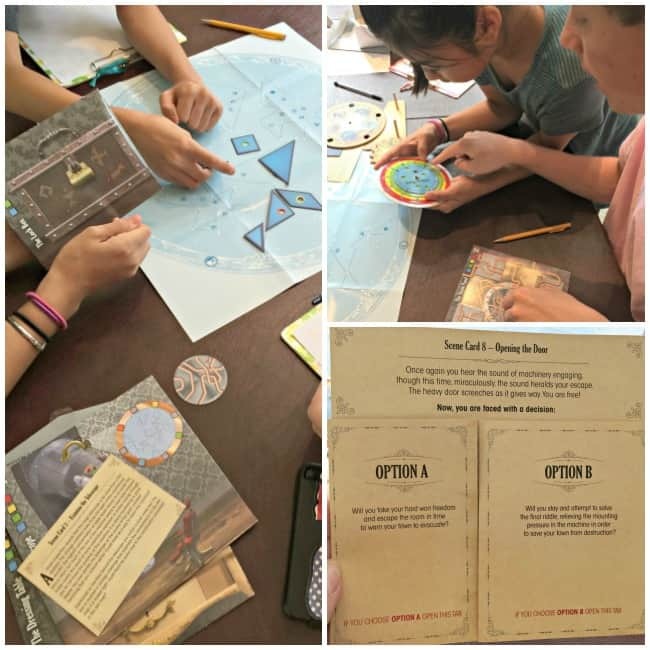 ThinkFun has two different escape room games for kids that are perfect for tween and teen birthday parties! “ Mystery at Stargazer's Manor This is an affiliate link: MomOf6 earns a commission if you purchase, at no additional cost to you. ” is the easier of the two (intended for kids 10+), and is based on the story of Richard Harrison, a retired astronomer who has disappeared. The game takes place inside of his observatory where players have to find clues and solve puzzles to stop the impending disaster! “ The Secret of Dr. Gravely's Retreat This is an affiliate link: MomOf6 earns a commission if you purchase, at no additional cost to you. 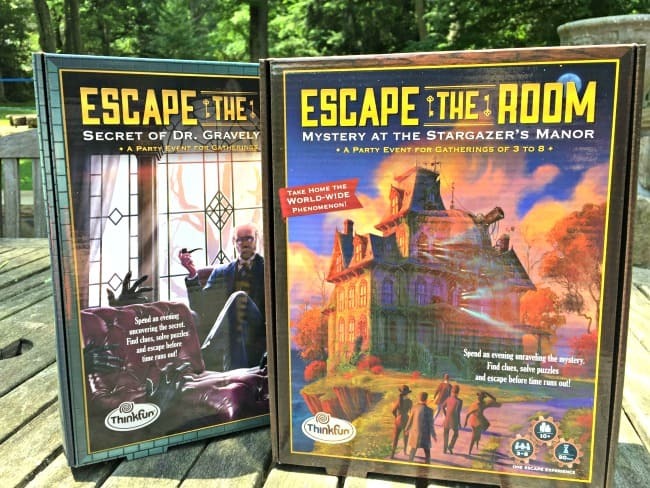 ” is a more challenging escape room game (intended for kids 13+) that follows this storyline: players are the lucky winners of a free stay at the Foxcrest Retreat where the famous Dr. Gravely is known for indulging his high-end guests in luxurious spa treatments. But upon their arrival, the guests learn that this spa is not what it seems- and players need to solve the increasingly complex puzzles and find the clues to escape the asylum! SpinMaster's “ Escape the Room Game This is an affiliate link: MomOf6 earns a commission if you purchase, at no additional cost to you. ” is actually 4 different escape room games in one box! And the cool thing about this set is that it uses an electronic chrono decoder that keeps the countdown clock as well as well as serves as the solution verification system using a set of plastic keys that you have to place into the slots in the correct order based on how you solve the puzzles. We started with “Prison Break” as that is supposed to be the easiest game in the set, and we actually found this escape room game to be quite challenging! Thankfully the chrono decoder helps to keep the pace of the game going by offering hints if you've not completed a stage by a certain point in the game. In some cases, this helped the team by getting them pointed in the right direction, and at other times they had already worked out that piece of logic by the time the hint was revealed! But as you can see- our party guests barely escaped the room in the nick of time (just 3:44 left on the 60-minute clock!). And without the access to these hints…. they definitely wouldn't have finished on time! How Many Guests Should You Invite? 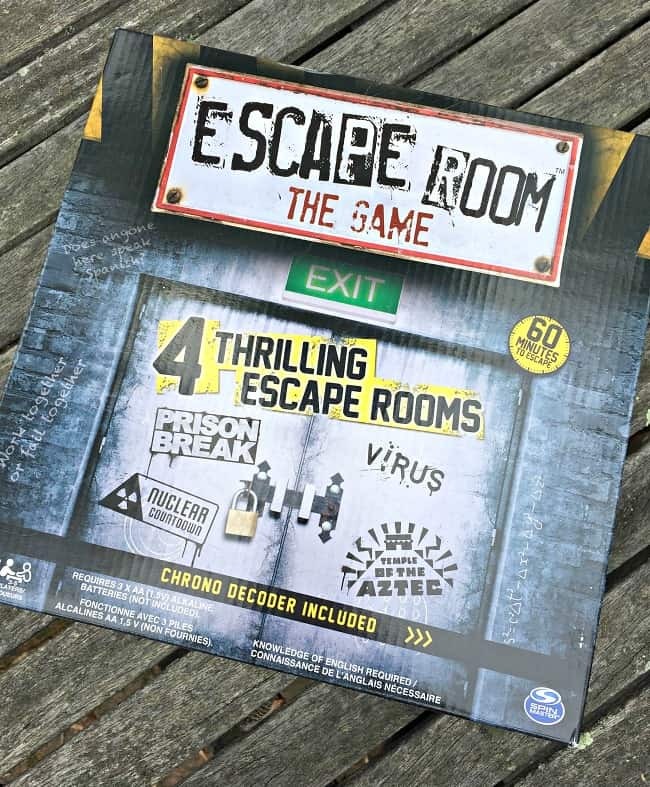 Because the escape room games are centered around printed materials and clues- it is easiest to play the game by limiting the number of players to 4-6 people per game. But here's an idea if your son or daughter wants to invite more people- buy more than one game! At the beginning of the party, you can draw names to put guests together into teams of 4-6 players, and then give them separate areas to play each game. One team can work on “ Mystery at Stargazer's Manor This is an affiliate link: MomOf6 earns a commission if you purchase, at no additional cost to you. ” while the other team plays “ Prison Break This is an affiliate link: MomOf6 earns a commission if you purchase, at no additional cost to you. ” and then after a break for cake and ice cream- teams can switch and play the other game! If you decide to do this- keep in mind that “ Mystery at Stargazer's Manor This is an affiliate link: MomOf6 earns a commission if you purchase, at no additional cost to you. ” and “ The Secret of Dr. Gravely's Retreat This is an affiliate link: MomOf6 earns a commission if you purchase, at no additional cost to you. ” follow the same pattern of problem-solving- so once a team has played one game it will be a bit easier for them to play the second game (which might be a good thing!). SpinMaster's “ Escape Room the Game This is an affiliate link: MomOf6 earns a commission if you purchase, at no additional cost to you. ” comes with 4 different games in the box, but they all use the same electronic chrono decoder- so you can't play more than one game simultaneously without buying more than one kit. Do I Really Need to Lock The Kids in a Room? Nope! While I suppose that part of the thrill of going to an Escape Room venue (and paying $15-$30 per person to play) is that you are actually locked in a room together- I just don't think it is a necessary part of the party. The kids will get so into the game and the “pressure” of trying to solve the puzzles in one hour's time that it won't matter if they are in a separate room or even outside on your patio! A birthday party is always more fun and festive with props! And since most of these games are set back in an earlier time- it's kind of fun to put out some hats and accessories for your guests to wear while trying to escape! Fedoras This is an affiliate link: MomOf6 earns a commission if you purchase, at no additional cost to you. , mustaches This is an affiliate link: MomOf6 earns a commission if you purchase, at no additional cost to you. 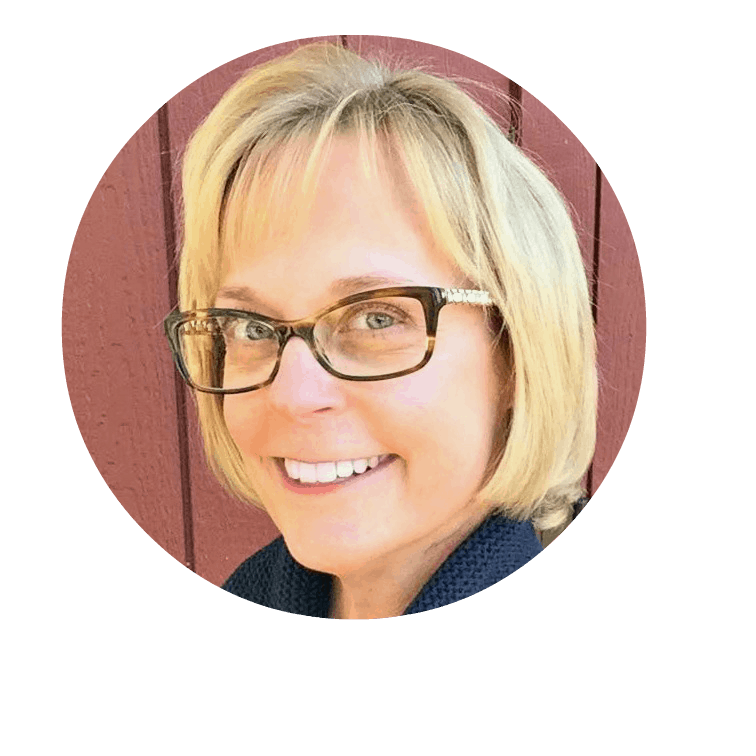 , glasses This is an affiliate link: MomOf6 earns a commission if you purchase, at no additional cost to you. , feather boas This is an affiliate link: MomOf6 earns a commission if you purchase, at no additional cost to you. , and lace gloves This is an affiliate link: MomOf6 earns a commission if you purchase, at no additional cost to you. all make for fun props! And don't forget to put out some steno pads This is an affiliate link: MomOf6 earns a commission if you purchase, at no additional cost to you. and pens This is an affiliate link: MomOf6 earns a commission if you purchase, at no additional cost to you. for the kids to use while solving the puzzles! A simple sheet cake with a magnifying glass drawn in icing and the birthday child's name is perfect! I love this beautiful cake that was featured over on The Ribeira Crowd! I love giving party guests a favor that they can use for a long time (rather than candy or plastic toys), so I take some group photos of the party guests after they've donned the props and accessories, but before we've played the game. 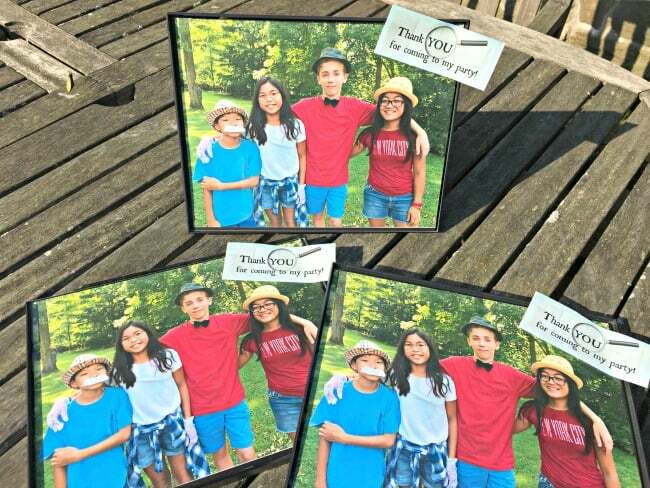 Then while the kids are playing- I quickly print copies of the photos on my color printer and then place them in a 4×6 black picture frame This is an affiliate link: MomOf6 earns a commission if you purchase, at no additional cost to you. for each guest. I put a small sticker on the corner of the frame that reads “Thank YOU for coming to my party”. (These little tags are included in the free downloadable party pack below!) I think framed photos make the perfect party favor! We haven't tried these Escape Room games yet, but they look pretty cool! 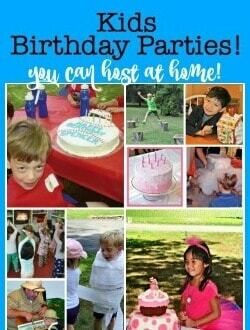 Ready to Download The Free Escape Room Birthday Party Printables? 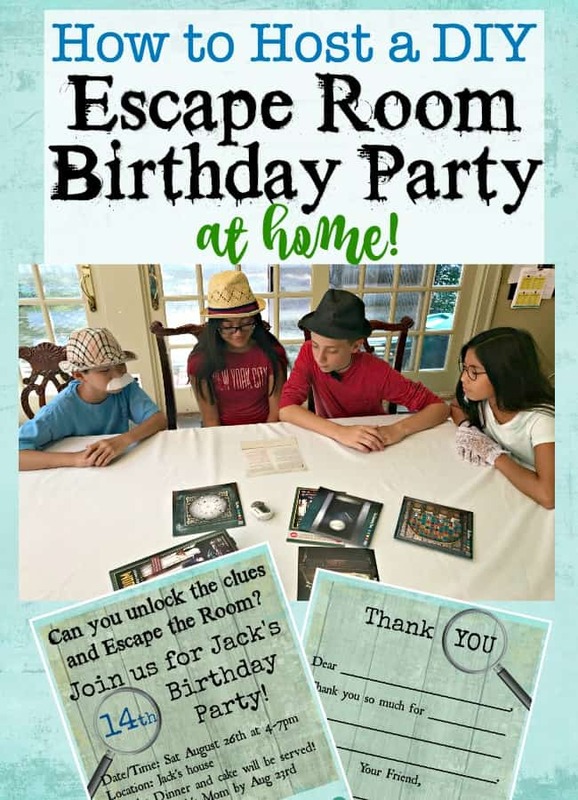 Do you think that your child would love an Escape Room birthday party?